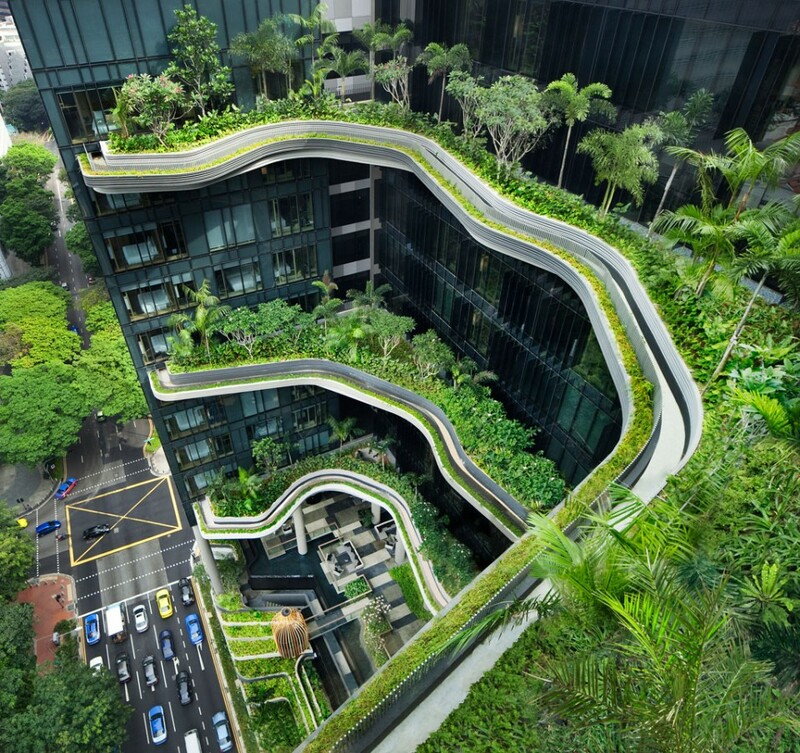 The best of both worlds: guests at this hotel get to enjoy skyscraper-high views and still experience layers of intensive greenery on virtually all levels. 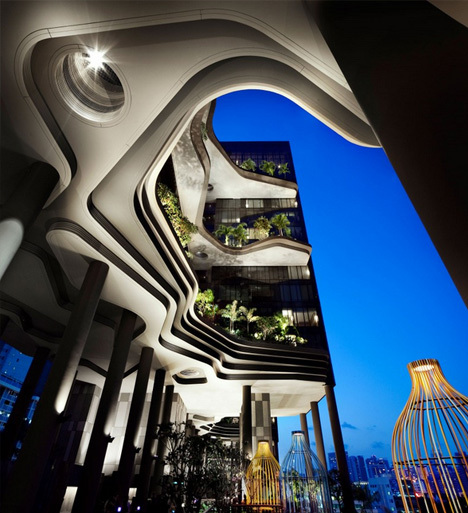 A series of sleek towers rises up from an organic base that provides shelter and visual interest on the lower levels. 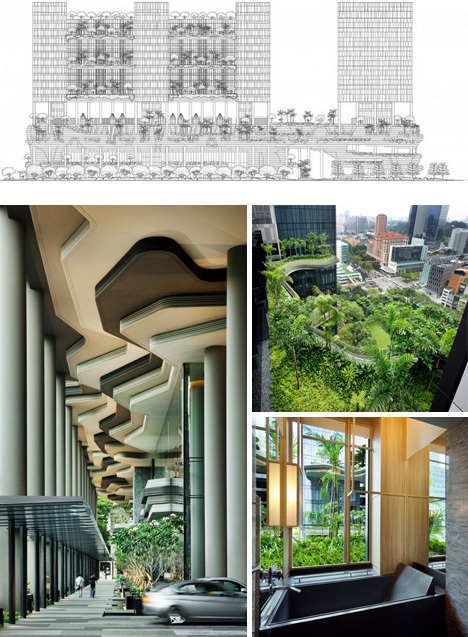 These curvilinear forms support an interstitial outdoor floor, and can also be found far above, stretched between the towers at upper levels, serving as platforms for lush greenery. A grid of circular concrete columns pierces the various levels, rising up to support the towers. 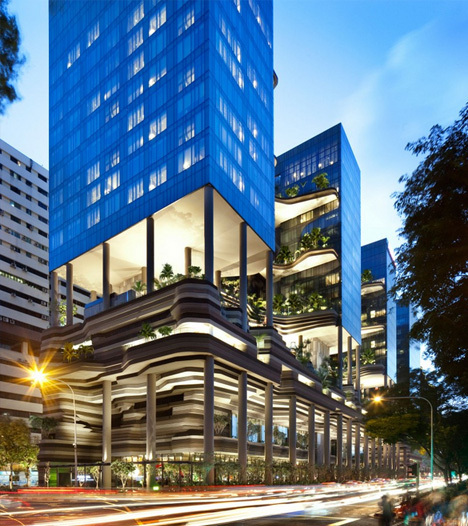 These provide for the structural needs of the building, but also serve as a transitional design element to bridge the heavier free-form concrete clouds below and the lighter frame-and-cladding rectangles above. 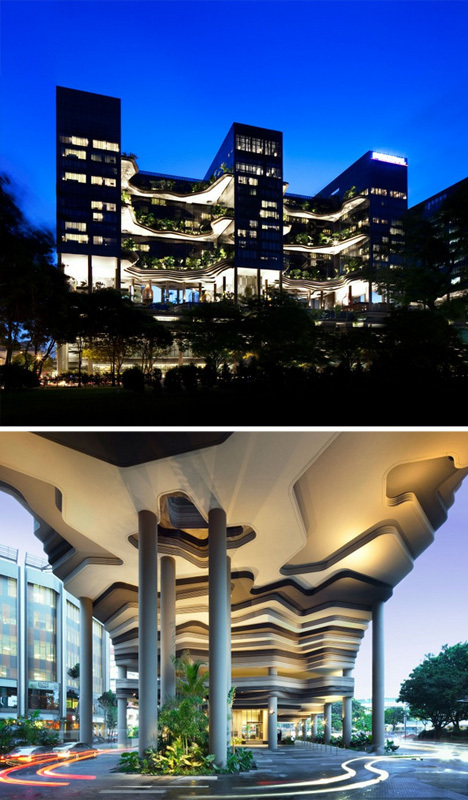 The design by WOHA is meant to be a landmark for its city “Most of Singapore’s recent architecture – especially in and around the city centre – is nothing more than generic and can be seen anywhere in the world, regardless of climate and culture.